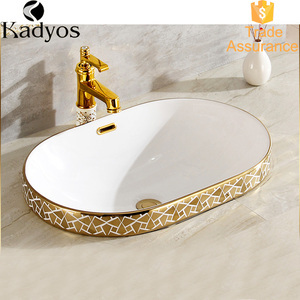 Hot Sale And Compititive Price With Wash Basins For Bathrooms Whole sale From China Q2. What is your MOQ9 The MOQ is one container. 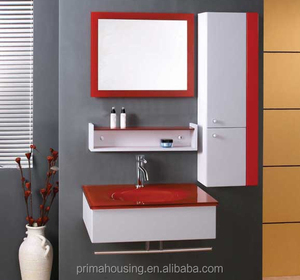 Hot Sale And Compititive Price With Wash Basins For Bathrooms Whole sale From China Q4. What is your payment terms9 We support TT,LC,DA,DP payment terms. 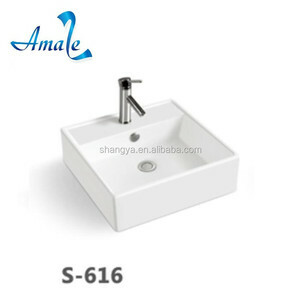 Hot Sale And Compititive Price With Wash Basins For Bathrooms Whole sale From China Q6. How to find our products9 You can search our products information on our website and the exhibition. 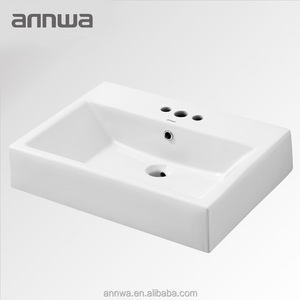 5 YRS Foshan City Gaoming Annwa Ceramic Sanitaryware Co., Ltd.
18 YRS Zhejiang Jindi Holding Group Co., Ltd.
Q: Where can I obtain technical information9 A: Click here to download our Range and Specification L ist . Q: Where can I find advice on care and maintenance9 A: Click here to find detail information for care and maintenance for all kinds of Goldea products. Q: Where can I find your Terms and Conditions9 A: Click here for our terms and conditions. As the glasses and countertops, we use cartons for packing and reinforce them with wooden frames to avoid breakage in transit. 2. What is the lead time of OPPEIN products9 Delivery time varies from 15 to 45 days according to the different materials of cabinetry. 3. How about the after service of OPPEIN products9 Generally, customer often demands the QC to check our goods when we are going to ship. 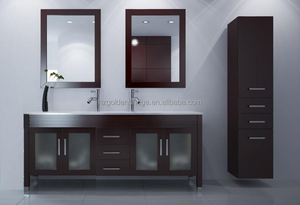 China factory price bathroom cabinet, Dubi luxury MDF vanity bathroom cabinet. 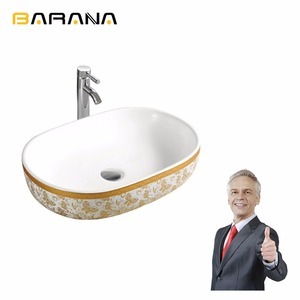 10 YRS Foshan Shunde Bangdian Sanitary Industry Co., Ltd.
1 YRS Foshan VAMA Sanitaryware Technology Co., Ltd.
1 YRS Foshan Jialvhe Bathroom Co., Ltd.
Q:What about the leading time9 A:In general, the leading time is about 20 to 30 days. Q:How about the packing and shipping9 A:Normally, we have carton and foam for packaging. Please contact with us to make sure the detailed things before placing order. 2 YRS Foshan City Nanhai Aolaisi Sanitary Ware Co., Ltd.
Our Vision: To be the only one sanitary ware factory who can make clients happy. Q2. How to get a samples9 A2. Sample order is acceptable, please contact with us and ensure which sample do you need. Q6. Can we combine many items assorted in one container in my first order9 A6. Yes, you can. 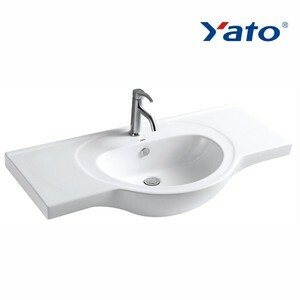 2 YRS Foshan Haohuang Building Material Co., Ltd.
15 YRS Guangdong Yuechao Ceramics Co., Ltd.
We are a professional manufacturer engaged in the research, development, production, sales and service of sanitary ware. Our products are also exported to clients in such countries and regions as Asia / Europe / the Middle East. We do our best to make our products more We warmly welcome the customers from at home & abroad cooperation for mutual development. 1 YRS Xiamen Biyate Imp. & Exp. 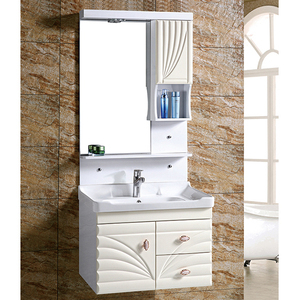 Co., Ltd.
9 YRS Jiangxi Jingsheng Arts & Crafts Co., Ltd.
10 YRS Newstar (Quanzhou) Granite & Marble Co., Ltd.
Alibaba.com offers 4,225 whole bathroom products. About 12% of these are shower rooms, 3% are bathroom vanities, and 3% are bathroom sinks. A wide variety of whole bathroom options are available to you, such as bowl sinks / vessel basins, countertop sinks, and cabinet basins. You can also choose from mdf, plywood, and solid wood. As well as from pvc membrane, lacquer, and acrylic. And whether whole bathroom is modern, classic, or antique. There are 4,225 whole bathroom suppliers, mainly located in Asia. 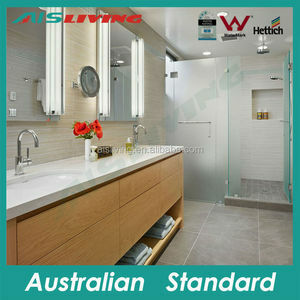 The top supplying country is China (Mainland), which supply 100% of whole bathroom respectively. Whole bathroom products are most popular in North America, Southeast Asia, and South America. You can ensure product safety by selecting from certified suppliers, including 1,344 with ISO9001, 491 with Other, and 236 with ISO14001 certification.